We are now barreling headlong towards the release of We Don’t Have Each Other, the first-ever full length from Aaron West and the Roaring Twenties, a.k.a. 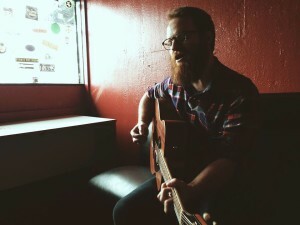 Dan “Soupy” Campbell of The Wonder Years. So far, the famously frank frontman has graced us with two tracks from his debut solo effort, and earlier today, unveiled a third during an extensive interview with AbsolutePunk.net. Look below to check out the full podcast; if you’re pressed for time, the new song, “St. Joe Keeps Us Safe,” begins at around 25:50. On this latest effort, Campbell’s protagonist wrestles with his religious upbringing via rolling melodies and earnest lyricism. A surefire hit for fans of Soupy’s full-time pursuits, if you like it, you can pre-order We Don’t Have Each Other here, before it hits shelves nationwide July 8. Share your thoughts with us in the replies, and follow us on Twitter for more up-to-the-minute music news.